Manish Jain is deeply committed to creating new models of unlearning for the 21st century in order to regenerate our diverse knowledge systems, free our cultural imaginations and expand our consciousness. He has served for the past 19 years as Co-Founder of Shikshantar: The Peoples’ Institute for Rethinking Education and Development based in Udaipur, India and has worked intensively with children, youth and grassroots communities. He is co-founder of the Swaraj University which is India’s first self-designed learning university dedicated to regeneration of local culture, local economy and local ecology. 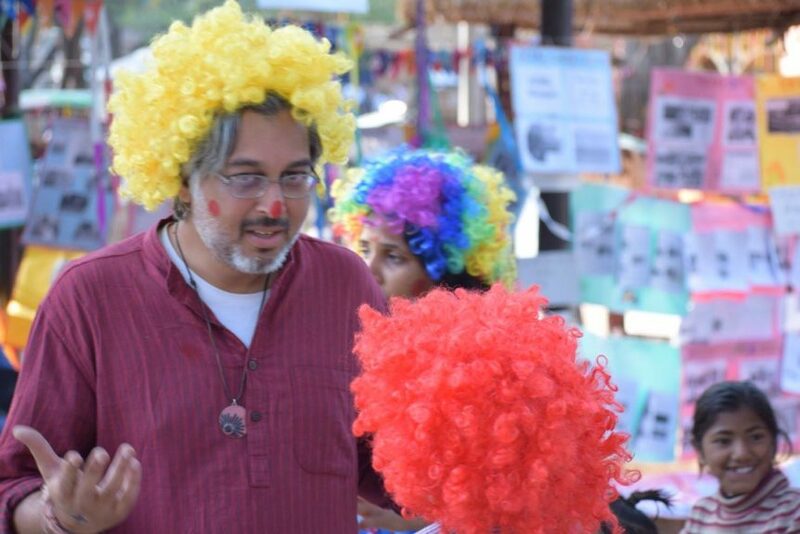 He is also a co-founder of the Learning Societies Network and has pioneered the Learning Societies Unconference in India. 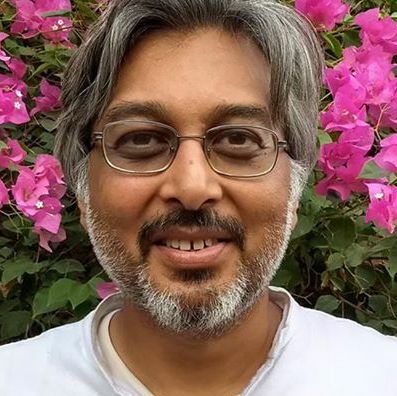 Manish is a co-creator of the Udaipur as a Learning City process which is dedicated to regenerating the grassroots learning ecosystem through community expressions and dialogue, sustainability and gift culture. He is Chief Editor of the magazine, Swapathgami (Making Our Own Paths of Living and Learning) for the Walkouts-Walkons Network. He has edited several books on Vimukt Shiksha (liberating learning) on themes such as learning societies, unlearning, gift culture, community media, and tools for deep dialogue. Manish has served as guest faculty for Schumacher College, National School of Drama Theatre in Education (India) and for the Peace Boat (Japan). Manish also served as a long-time board member with the Berkana Institute (USA) and was a co-founder of the Berkana Exchange for trans-local community leadership centers. He is a facilitator and designer with the Art of Hosting network and has 12+ years of experience with World Cafe, Open Space Technology and Circle methodologies. He is Trustee with the Slow Food India network. He is an advisory member of the Economics of Happiness network for localization. He recently helped to initiate the Ecoversities Global Alliance and the Giftival Friends Network. He serves as special advisor for Roller Strategies using the social lab methodology and has worked on the facilitation team for Grove 3547 in Chicago. Having worked as one of the principal developers of the UNESCO “Learning without Frontiers” global initiative and as a consultant in the areas of educational planning, policy analysis, research, program design and media/technology with UNICEF, USAID, UNDP, World Bank, Academy for Educational Development, and the Education Development Center in Africa, South Asia and the former Soviet Union, Manish has been trying to unlearn his Master’s degree in Education (from Harvard University and a B.A. in Economics, International Development and Political Philosophy from Brown University). He and his wife Vidhi have been unschooling themselves with their 15 year old daughter, Kanku. He is passionate about urban organic farming, filmmaking, simulation gaming, bicycling, clowning, group facilitation and slow food cooking.